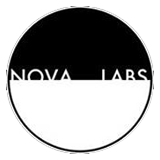 We just wanted to thank Nate Logsdon for the nice write up that he did on Nova Labs in the Ames Tribune recently. As always Nate is a great pillar of the Iowa music scene, so we appreciate his efforts to get the word out about NL. Thanks Nate!